The end of summer is such a bittersweet time for me. I love the excitement of "back-to-school" and the promise of growth and new experiences in the next grade level. But it’s still tough to box up the super-soakers, UV-beads and Model Magic. And when the tattered friendship bracelets get cut off, I know that another great Fairmont summer is coming to a close. 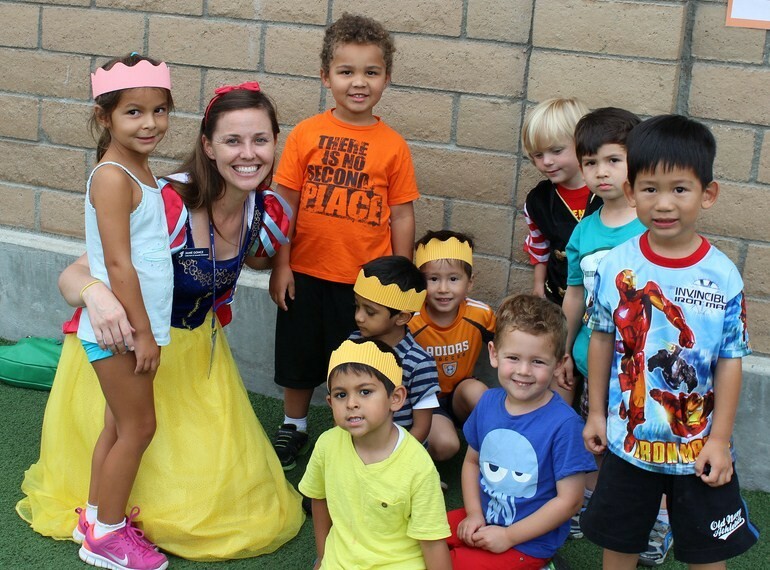 Summer at Fairmont Schools is about building confidence—and depending on the student, this may have an academic or social focus. To develop confidence, summer may mean experiencing or succeeding at things for the first time. At the elementary level, this may mean sharing a writing project up in front of the class or working independently in different learning stations in summer school. It may mean riding a school bus for the first time or actually being at a field trip destination for the first time without a parent! It could mean the first jump off a high dive, the first shriek on a roller-coaster or the first time petting a manta ray at the Aquarium. Developing confidence over the summer also may mean experiencing academic success. This summer, a record number of Fairmont junior high students took advanced math courses at Fairmont Prep which will allow them to progress to the next subject level during the school year. This sense of accomplishment is the essence of what summer at Fairmont is about to me. Just like our students, summer is a great time of learning and skill building for our faculty and staff. Fairmont teachers experienced teaching the new grade level they will teach this upcoming school year or had extra practice using Accelerated Math or technology tools. Summer Camp Counselors returned after another year of college under their belts, ready to take on new roles in teaching students and supporting families. Sitting in on Ms. DeVane’ 6th grade Language Arts class discussion on The Giver at the North Tustin Campus. As a kid, it was one of my favorite books but I hadn’t thought about it for years. After hearing our students’ discussion of the novel, I had to re-read it myself. Seeing videos of the Jedi Training Academy taught by summer camp counselors Mr. Evan and Mr. Cody during an afternoon camp rotation. I love the creativity of our staff and the unique moments it creates for our Padawans, I mean campers! Watching Oliver in swim cap and goggles give me a huge grin and thumbs up while “body surfing” at Corona del Mar Beach. It was a perfect summer moment for him and became one for me too. Hearing Mr. Al speak with a southern drawl all day on Western Wear Dress-Up Day. Having a pretend “tea party” with preschool campers while waiting for their pony ride and pictures. 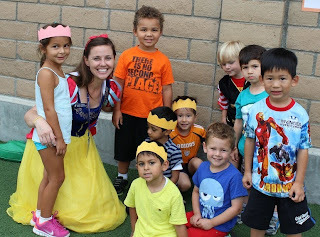 Since I was dressed up as Snow White for Fairytale Dress Up Day, I was treated as part celebrity, part best friend by the preschoolers. Pointing out sight words in Miss Dodson’s JK summer school class with “witchy fingers". Who knew plastic finger sleeves could be such fun and so educational?! I’ve already begun a countdown for Summer 2014…43 more weeks! See you then!